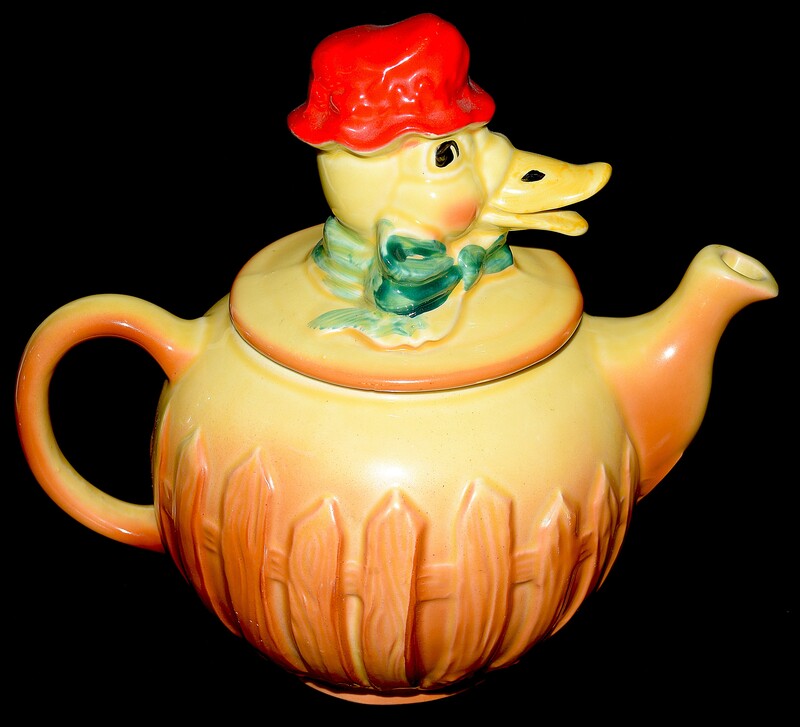 Measurement: 8 1/4" H. - 9" W.
Item Condition: We are pleased to offer for sale a Regal Pottery Old McDonald / Farm Duck Teapot. 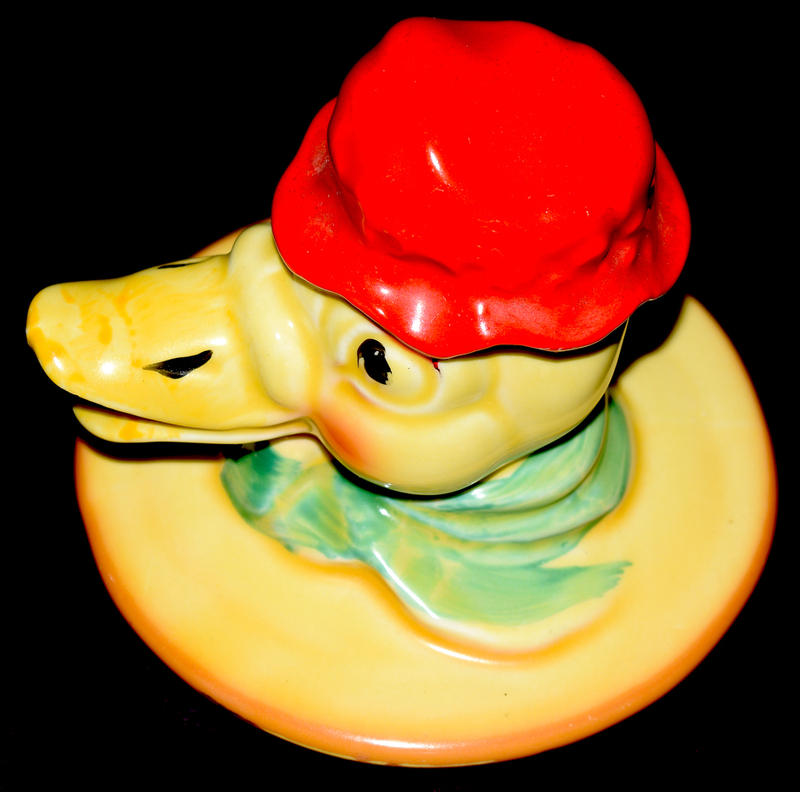 This wonderful piece is in UNDAMAGED CONDITION without chips cracks or repairs. The teapot has super nice glazing and color without crazing. In fact this adorable piece looks like it has never been used. You will love adding this pretty piece to your Regal pottery collection. 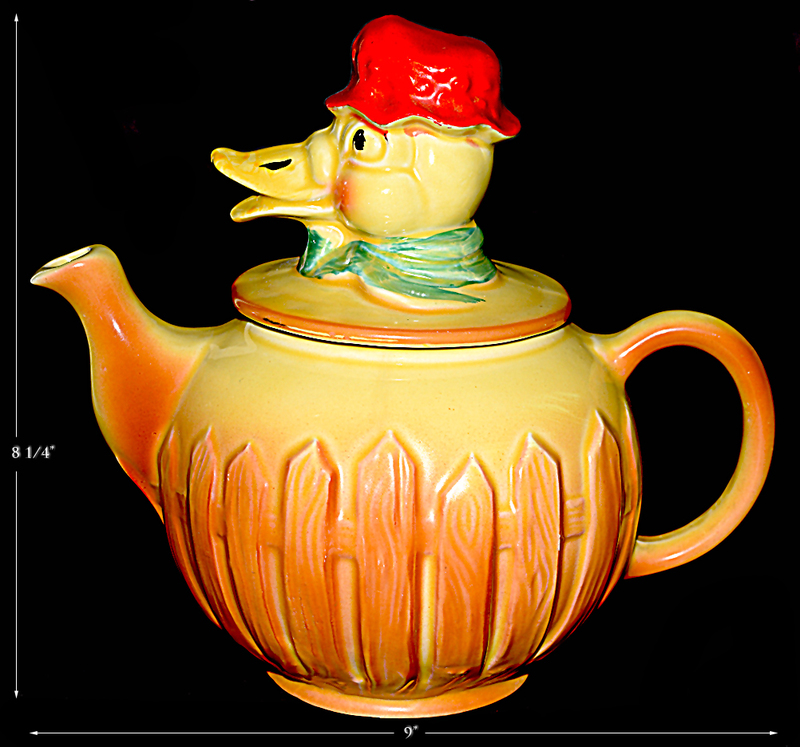 Item Condition We are pleased to offer for sale a Regal Pottery Old McDonald / Farm Duck Teapot. This wonderful piece is in UNDAMAGED CONDITION without chips cracks or repairs. The teapot has super nice glazing and color without crazing. In fact, this adorable piece looks like it has never been used. You will love adding this pretty piece to your Regal pottery collection. Regal's Old McDonald's Farm (1950s) - Regal made a series in the 1950s based on Farm animals. These colorful kitchen items were well made and beautifully hand painted and fired. Pieces of Regal's Farm include a Cow butter, Rooster creamer and Hen covered sugar, Farmer and Farmer's Wife canisters, Farm Boy and Girl canisters, Horse Canisters, Duck Teapot, Farm Barn cookie jar, Sheep salt and pepper shakers, Churn salt and pepper shakers, Farm Boy and Girl salt and pepper shakers, Pig canisters and grease jar, Turkey spice jar, and Horse spice jar.